Ecuador is truly one of the most amazing countries in South America, and considered as the world’s most biodiversity country because of its natural wonders. Ecuador is not only famous for its alluring works of nature, but it is also rich in colonial architecture and history, which makes a perfect stroll in the city. Cotopaxi is part of the Pacific Ring of Fire, and is considered as the most visited volcano in the country because of its nearly perfect cone tip. Cotopaxi is a stratovolcano as classified by experts and it is considered as one of the volcano that has the most violent explosions. It has recorded over 50 eruptions since 1738, which produce more than enough destructive lahars or mud flow that can even reach over 100 kms. from the volcano. Tena, which is the Cinnamon capital of Ecuador and one of the best kayaking and rafting venues, is undeniably a place to be in South America as it offers peaceful and calm ambiance together with warm and welcoming history. This destination is also known for its breathtaking rainforests as well as gushing jungle rivers along the Amazon and Andes, which is an ideal getaway for friends and families who enjoy nature trippings and activities. Home of the world renowned indigenous settlement, Otavalos are recognized as the most successful indigenous population across Latin American territories, economically speaking. This destination is where local handicrafts and other products are being sold, and one of the main attractions in Otavalo is its fiesta market where tourists will witness Otavalos (inhabitants of Otavalo) wear their traditional costumes while selling their local products. World famous for its unique wildlife such giant tortoises, marine iguanas and other bird species, Galapangos Islands is a historic place to be. This destination was used by Charles Darwin’s research which led him to the Evolution of Man. Galapanos Islands is a famous site especially for foreign natural historians as well as local tourists who wants to enjoy its rich nature, as the island has a diverse wildlife system that takes care of endemic and never before seen animals. Formally known as San Francisco de Quito, this city is the capital city of Ecuador, and is one of the largest and well-preserved historical heritages across American territories. Oftentimes called as Banos de Agua Santa and tagged as the Gateway to the Amazon, Banos is the main tourist spot in the eastern region of Ecuador. This destination offers a perfect encounter with nature because of the fun and relaxing activities it offers to its visitors. Tourists can enjoy dipping in the waterfalls, hiking through its forests and unwinding in its thermal springs. El Cajas National Park, which is the most biologically diverse area of paramo across the Andes range, is recognized as the main conservation area for bird species. This destination is known for the Polylepis or commonly called as Paper trees, which is one of the tallest trees in the world, and is covered with gold-green grasslands and home to endemic and endangered species such as the South American Condor. Riobamba is surrounded by well-preserved colonial architectures, and is famous for its train ride called Nariz Del Diablo, which gives tourists the picturesque and breathtaking view of the snowcapped mountains and other wonders of nature surrounding the city. 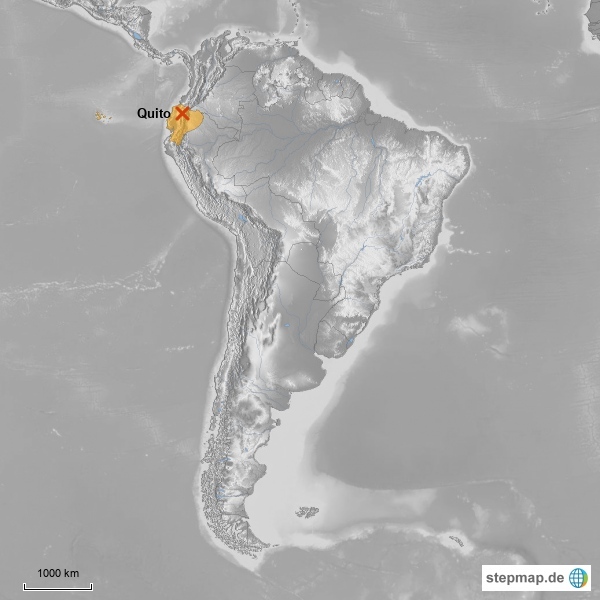 Isla Santa Cruz is part of the Galapagos Islands and is located in the middle of the archipelago. This destination is known for its huge lava tunnels with about 2000meters long, and as a result to one of the volcano’s violent eruption, two large holes were created and was named Los Gemelos, or translated as “The Twins.” Isla Santa Cruz is the most developed cities among Galapagos’ territories, and some of the activities to enjoy is snorkeling, surfing and mountain-biking. Guayaquil, which is the largest city in Ecuador and the most inhabited places in the country, is also known for the Rio Guayas malecon. This destination is both historically and geographically significant to Ecuador because it is one of the major South American ports in the Pacific that is filled with interesting and breathtaking scenery.